Futuristic-looking bendable tablets and smartphones have captured our imagination for years. Whether it’s the folding tablets found in Westworld or the many book-like slates with foldable pages in Microsoft’s future vision videos, a phone that folds out into a much larger device is dreamlike. Samsung is now trying to make these wild concepts a reality. 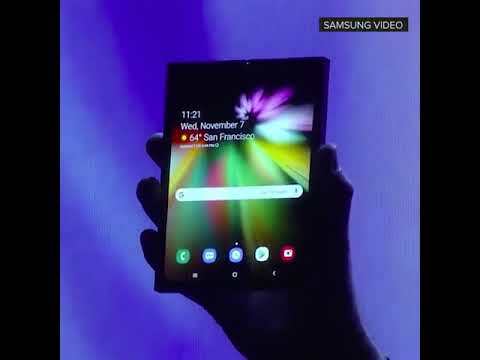 The Galaxy maker showed off its new Infinity Flex Display yesterday, a display technology that will allow a tablet-sized screen to fold into a device that approximates the size and shape of a smartphone. While we’ve seen flexible and bendable wearable devices, this is one of the first times we’ve seen such a display in a phone that’s rumored to ship in 2019. Samsung’s device was “disguised” by what appears to be a chunky case, and shown only under dim light, but it’s far more than just concept art. This combination of displays has given us an early glimpse at what to expect from foldable phones in 2019 and beyond. As glass is not pliable, Samsung has had to develop new materials to protect its new display. The Infinity Flex Display uses a polymer that Samsung says is both “flexible and tough,” meaning it can keep its strength even when folded and unfolded “hundreds of thousands of times.” Samsung has combined this with a new adhesive that laminates the various display layers together to allow them to flex. None of this is glass, though, so it could feel a little different than what we’re used to with modern phones, tablets, and touchpads. Just as smartphones started off with plastic resistive displays and stylus input, before the iPhone showed that capacitive touch on glass was the future, this foldable era will include compromises before the technology advances. 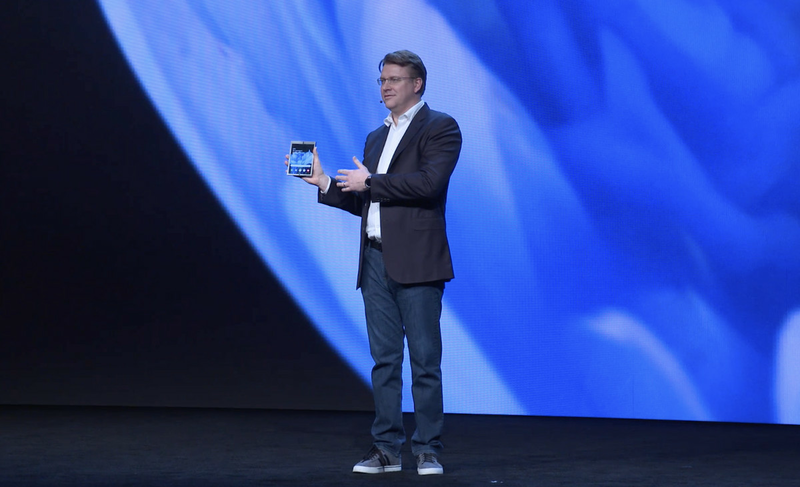 Samsung’s device, while pocketable, didn’t look particularly thin compared to modern smartphones. 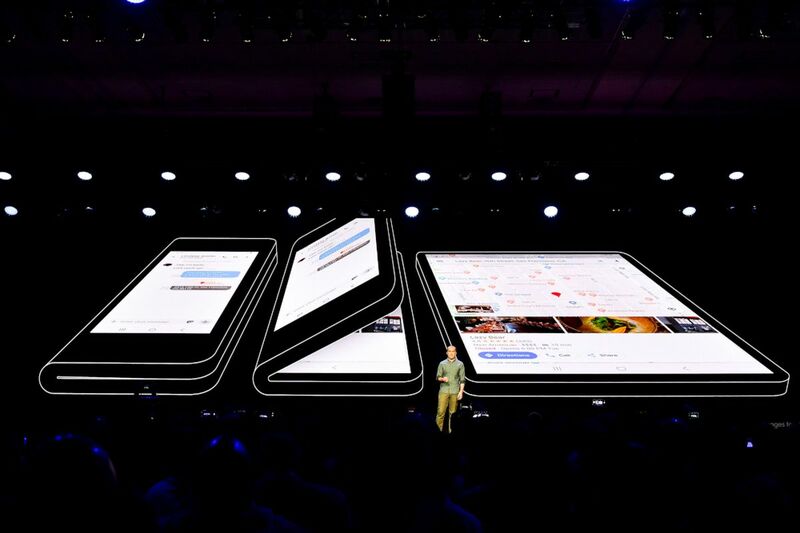 The bezels when folded for use as a phone are also giant compared to modern edge-to-edge flagships, and the folding display Samsung has chosen makes the device very tall when closed. ”Folding phones are the 3D TV of the mobile world,” proclaimed Wall Street Journal tech columnist Christopher Mims on Twitter. Samsung, LG, and many other TV manufacturers famously pushed 3D TVs to consumers at various annual Consumer Electronics Shows, but they never really caught on. They were seen as a gimmick to sell more 1080p TVs without offering a superior viewing experience. Not everyone agrees that foldable phones will flop, though. In 2011, the giant 5.3-inch display on the Galaxy Note was met with guffaws in tech circles. Today we just call phablets, phones. Similarly, the curved display on the oft-ridiculed Galaxy Note Edge and Galaxy Round eventually morphed into the Infinity Displays found on Samsung’s modern S-series of flagships. If foldable phones follow a similar journey, then Samsung’s first device won’t completely capture the design’s potential — instead, it’ll mark the beginning of an emerging battle over this intriguing display technology. The emergence of mass production means device makers will be able to pick this display just like they already do with Samsung’s OLED panels. Huawei is reportedly planning to release a foldable handset next year. 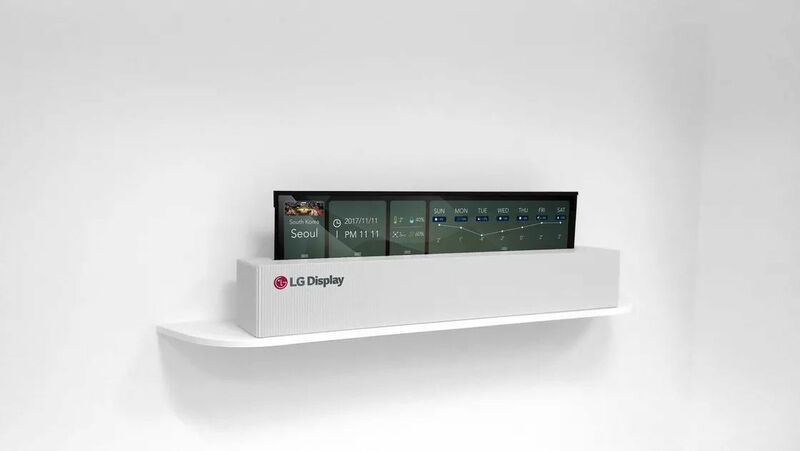 Lenovo and Xiaomi have also teased their own prototypes, and LG is also working on its own flexible OLED displays and TVs that roll up into a box. The 2019 Consumer Electronics Show in January could be an initial battleground for foldable devices, fueled on by Android’s official support for foldable displays. Google’s support will be key, as this type of new form factor will require a close coupling of hardware and software. Samsung is creating its own Multi Active Window software that will allow its foldable phone to display three apps at the same time. Multitasking is only one aspect of software, and Samsung together with Google will need to optimize the entire Android UI and experience for these types of devices. Apple has traditionally excelled at hardware and software integration. In fact, there are rumors that a foldable iPhone could appear within the next two years. Foldable phones are the obvious initial market for this screen technology, but manufacturers will get far more ambitious as the display technology matures. Samsung is also promising rollable and stretchable OLED displays in the future. Imagine folding or rolling a 55-inch TV into something that will fit into your bag, or finally replacing pen and paper with a foldable tablet. It sounds unbelievable right now, but we’re only at the very beginning of our flexible future.